As reported in BTN (issue 29 April) Ethiopian Airlines was the first air carrier to put the Boeing 787 back into service after its enforced grounding, quickly followed by Qatar 1 May. 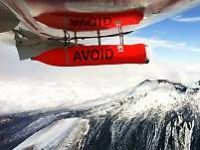 Following its investigation into the effects of volcanic ash (See BTN 12 December 2011) easyJet and its partners Airbus and Nicarnica are planning the final stage of testing of the AVOID technology. Hilton is quickly pushing ahead with its Double Tree upscale project (see Double Dutch for Hilton in this issue). Now just open is the DoubleTree by Hilton Bristol City Centre. 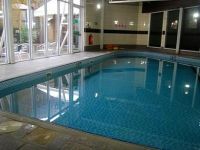 Formerly a Ramada it is situated on Redcliffe Way and is less than a quarter mile from Temple Meads Station. 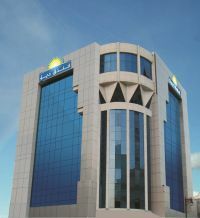 Wyndham Hotel Group, the world’s largest hotel company, has announced the opening of the first Days Inn hotel in Saudi Arabia, the 56-room Days Hotel Olaya in Riyadh. Southend has joined the London airports' connections to Edinburgh. easyJet has introduced a daily (except Saturday) afternoon return service originating at Southend. With just initially a single afternoon return flight from Southend the route is aimed at a leisure audience, although it will appeal to business people who can plan their itinerary to fit the schedule. The reborn Germanwings is becoming very active in promoting itself as an independent yet integral part of Lufthansa. The airline has taken over all German domestic flights with the exception of those into Frankfurt and Munich. 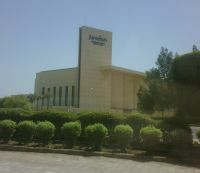 It is a soft opening for the first Jumeirah in the Gulf area outside the United Arab Emirates. The Messilah Beach Hotel and Spa Kuwait has opened its doors, close to Kuwait City’s business and financial centre and only 10 minutes drive from Kuwait International Airport. The eighth annual Routes Europe 2013 opens in Budapest this week to record-breaking attendance. Over 1,000 delegates have registered to attend the popular route development event which will be held at Hungary’s brand new SYMA Conference Venue, the capital’s most modern, state-of-the-art multifunctional facility, 12 to 14 May. Business Travel News continues with its series of ON THE SOAPBOX SPECIALS putting forward different ideas regarding airport capacity which is being examined by the Airport Commission. Malcolm Ginsberg – Editor in Chief, BTN, offers his views. Followers of the Airports Commission’s timetable will note that the cut-off date for the latest submissions is next Friday 17 May entitled “Proposals for making the best use of existing capacity in the short and medium terms”. Parliament’s Transport Committee has suggested that a third runway is the answer (see below). BTN says that Northolt (NHT) could be up and running in less than two years, would show Government commitment to commercial aviation, and give breathing space. Whatever happens there are two issues that are paramount. Firstly, when the Commission reports after the 2015 election some people are not going to be happy. It is impossible to satisfy everyone. "Not in my backyard" is not good enough. The result must be for the greater good. With the next cut-off date for the Davies Commission due Friday 17 May, the Airport Operators Association (AOA), the trade body for UK airports, has responded to the Commission’s position paper on ‘Connectivity and the Economy’. Losses at IAG widened in the first quarter of 2013 as its Spanish division Iberia continued to suffer from over manning and the economic downturn. Sister company British Airways performed well and now with the bmi takeover has plenty of Heathrow slots available midterm. 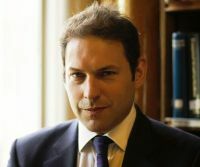 The Airports Commission, set up by the Government to assess the UK’s long-term aviation capacity needs, has unveiled a panel of leading environmental, engineering and transport experts to assist in its deliberations. The panel will ensure the Commission has access to the very best scientific and technical expertise, providing an extra level of challenge and quality assurance. We list the members and also remind readers of the make-up of the actual Commission. There is no airline (or retired airline) person involved. 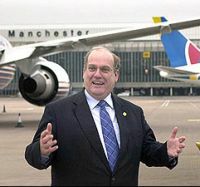 Geoff Muirhead is an airport specialist, but very much represents the North of England. 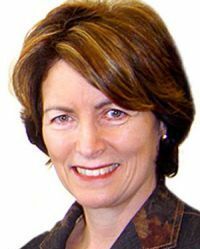 Of the new recruits, with the possible exception of David Starkie of Case Associates, there does not appear to be a single commercial air transport specialist included. 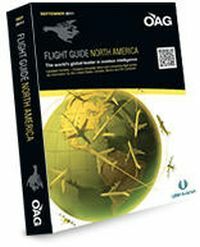 Electra Partners, the London Stock Market listed private equity fund, is the new owner of OAG, often called “engine room of the airline industry”. The Luton-based company, who as ABC can trace its history back to the early steam railway age, was previously owned by UBM, also a listed company. In 1993 the then owner of ABC, media conglomerate Reed, made a reverse takeover of OAG, a US-based operation supplying timetable data to the airlines. 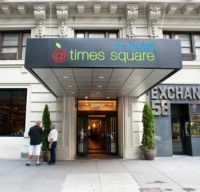 Independent chain Apple Core Hotels has opened a 79-guestroom property on 46th Street between Broadway and 6th Avenue, New York. This follows an extensive refurbishment. Parliament's Transport Committee, an influential grouping of MPs from all parties, but without any actual power, has come out strongly in favour of a third runway at Heathrow and, more long term, a major extension of the airport towards the west. The report is timed to pressurise Davies (see elsewhere in this issue). The Committee is adamant that London Mayor Boris Johnson’s ideas for an airport in the Thames estuary will not work, noting that it would be hugely expensive and damage wildlife. Jane Stanbury has been to Lagos. 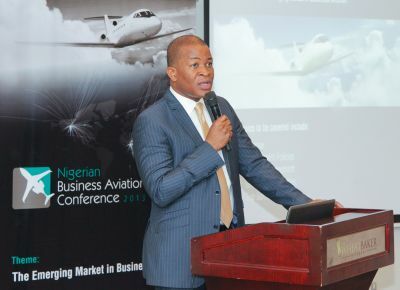 The first week in May saw the inaugural Nigerian Business Aviation Conference (NBAC) take place in Lagos. It was a home grown occasion organised by Evergreen Apple Nigeria (EAN), the company that opened Lagos airport’s first FBO and full service maintenance facility. The timing was impeccable as the previous week the federal government released a new National Civil Aviation Policy, which will guide the activities of business aviation. Some of it contentious, some of it practical, it affirmed the need for discussion and debate within the sector. 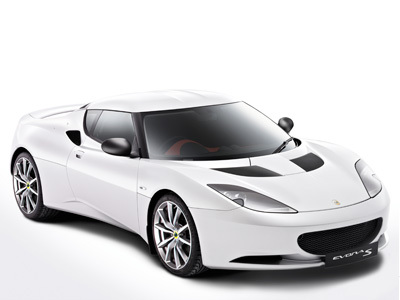 In 1952 Lotus was born, the father a charismatic North London engineer called Colin Chapman. That Chapman was a genius there is little doubt. Chapman’s philosophy came from the aircraft industry where he trained. Keep it simple and keep it light. ACBC as he was called, or ‘the old man’, died in 1982 aged just 54. He was behind some of the world’s greatest sports cars of the 20th century including the Lotus Elite and Seven (both in 1957), Lotus Elan (1962) and Lotus Esprit (1975). Graeme Barnett has taken over as Exhibition Director of Business Travel Market (6-7 November, Excel) following the departure of Paul Robin. Paul has taken up an appointment in the charity sector. Barnett is currently Exhibition Director of EIBTM and brings with him 18 years of travel industry and exhibition experience with an impressive portfolio that includes World Travel Market, the UK British Travel Trade Fair and the successful international launches of GIBTM in Abu Dhabi and CIBTM in Beijing. Hilton Worldwide has announced the opening of its first Hampton by Hilton in The Netherlands, with another to follow shortly. Hampton by Hilton Amsterdam Airport Schiphol (181 rooms) has begun welcoming guests, with Hampton by Hilton Amsterdam/Arena Boulevard (254 rooms) due to open before the end of May. 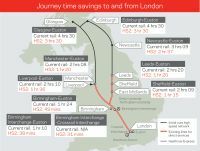 In what was seen by some as a surprise move by the British Coalition Government, the Queen’s Speech last week included legislation paving the way for development of the HS2 train from London to Birmingham. A bill is proposed that would grant parliamentary permission to build phase one of the line from London to Manchester and the powers to operate it. Construction on the high speed project, opposed by some residents' groups and councils, is set to begin in 2016/17. However its passage through Parliament might prove stormy with some rural Conservative MPs very much opposed to its construction. FirstGroup, a leading transport operator, has revealed that it is providing London’s Air Ambulance, the charity that delivers an advanced trauma team to critically injured people in London, with £100k worth of support over four years. 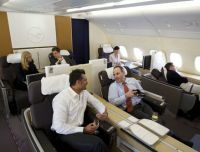 First and Business Class passengers on Lufthansa long and medium haul flights are to benefit from service upgrades that are now being introduced. On services from Germany, Lufthansa is offering a new programme, “Culinary Delights” in First Class, a development of its popular Star Chefs concept. The American educated and fast talking Temil Kotil, Chief Executive of Turkish Airlines, was in London last week promoting his airline. 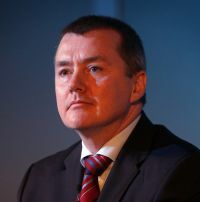 An engineer by training he joined the airline in 2003 becoming CEO in 2005, became a member of the IATA board in 2006 and is the driving force behind the airline's rapid expansion. Turkish, a member of the Star Alliance, claims to serve more countries than any other carrier and has outstanding orders for over 200 aircraft, mostly narrow bodies and split between Airbus A320 series (including neo) and Boeing 737MAX. Long haul the carrier is focussing on the A330 and Boeing 777. Where the airline goes in respect of A350 and Boeing 787 remains to be seen but Mr Kotil seemed to rule out the A380 “for the time being”. The airline serves both Heathrow and Gatwick (see BTN 6 May). Panama City is a new opening for Hilton’s Waldorf brand, a first in Latin America. 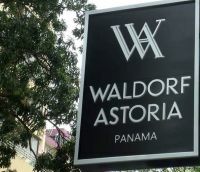 Opened last week the 248-guestroom Waldorf Astoria Panama is located in the trendy Calle Uruguay section of the city and is less than 15 minutes from the international airport and within walking distance of the Park on Cinta Costera, as well as the banking and central business area. The Panama Canal is also very close by. It is a totally non-smoking property.